Los Angeles has always been home to hundreds of retail water stores throughout the county for decades. Their primary purpose was to address two main issues: the suspicious drinking quality of chemically treated tap water, and the inflated cost of buying bottled water. These stores would set up commercial-size water filtration systems where customers could take any bottle to refill with freshly purified water at a reasonable price. 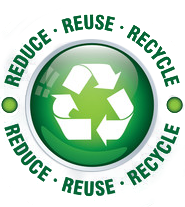 In 2010, as the general public was becoming more aware of environmental issues such as plastic pollution and access to clean water, we were motivated to do our part. To avoid using single-use plastic bottles and containers, which are known to be one of the biggest culprits of our world’s pollution, we turned away from purchasing large cases of bottled water and searched for alternative, reusable solutions made from safe materials. We visited dozens of water stores looking for drinkable water. We spent countless hours researching the processes of water treatment, contacting bottle manufacturers, recycling centers and local water facilities, and educating ourselves on the dangers of contamination. What we found was a little disheartening. The majority of water stores were not following the most basic of regulations, such as performing water tests and maintenance on a regular basis. We discovered through our independent testing that most were not changing their filters and in essence selling tap water. 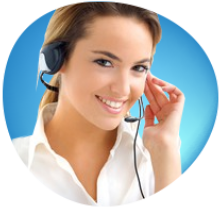 When contacting various facilities our questions regarding these issues went unanswered or were given the silent treatment, even by the large corporations whose brands are recognized worldwide. Finally, it was quite difficult finding reliable sources for reusable containers to replace single-use plastic containers. It was during this time that we decided there was a definite need for an outlet with the community’s interests in mind. And so we opened Alka Source in the Koreatown/Mid-Wilshire area in October 2010. 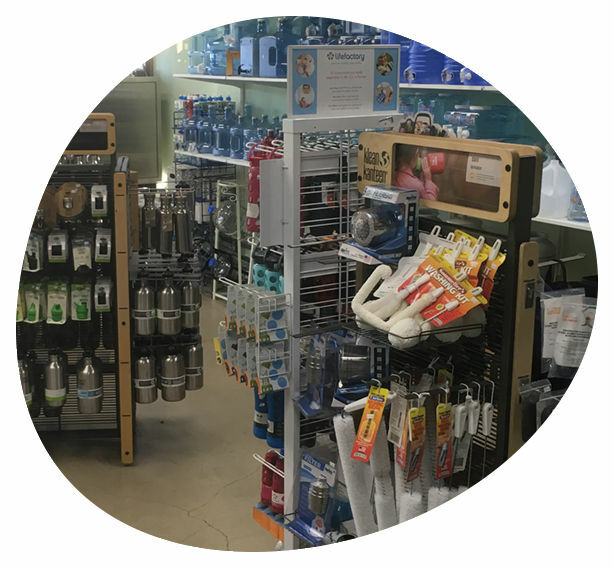 Our first store featured a state-of-the-art filtration system producing both purified and alkaline water, and our Filling Station allowed anyone to bring empty bottles to refill with clean, healthy water. 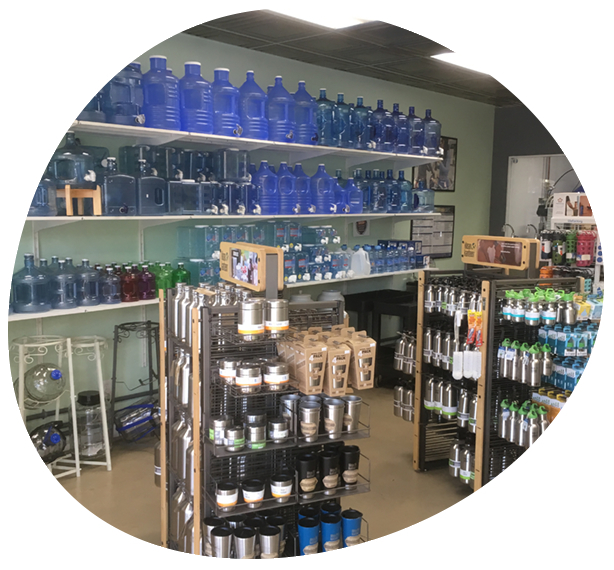 We offered a vast selection of reusable bottles and containers in plastic, stainless steel and glass. Eventually we introduced water purification systems for residential and commercial use, water accessories such as carrying bags and bottle stands, dispensing options including crocks and hot-and-cold water coolers, and water delivery service in the greater Los Angeles area,. In 2014 we celebrated the opening of our second location, Urban Oasis, in Silverlake. 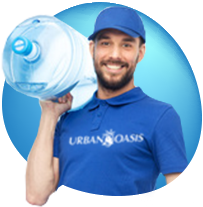 We are always striving to be your one-stop source for all of your water needs, so please feel free to visit us and let us know how we are doing, or you can always call or e-mail us! Simply order the water you want, and let us do all the hard work! Custom residential and commercial systems for drinking, whole-house and business applications. Fill up on great quality water anytime at our state-of-the-art vending machines! 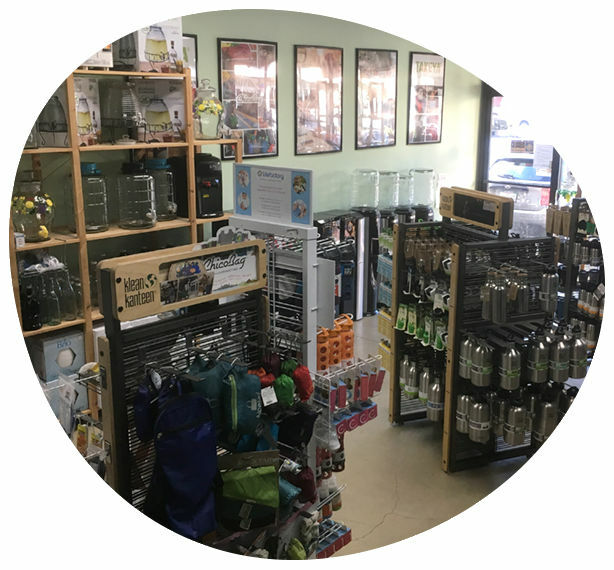 Large selection of bottles, dispensers and accessories delivered to your front door! For Alkaline and Purified Water! More Vending Machines Coming Soon!